After writing Stalker's Guides for two famous HKC martial arts films’ stars Jackie Chan and Jet Li, here I’m back with a Stalker's Guide to what I consider “my favorite young Korean actor”. He also happens to be a film actor instead of a drama star. Ha Jung Woo was the first young Korean actor that I had full confidence to call “my favorite”. Ever since I first met him through The Chaser, I had a sudden urge to watch all of his filmography. I had to see more of his acting talent, and what a great ride it was. Jung Woo’s skills are absorbing; he has the intensity mixed with amazing versatility that makes him adapt to any type of role he’s given. I was never disappointed with him even if the film itself wasn’t that good. Ha Jung Woo's real name is Kim Sung Hoon. His father is Kim Yong Gun, a veteran Korean actor, while his brother Cha Hyun Woo (real name Kim Young Hoo) is a newbie actor. Jung Woo started his career in theaters; he studied acting in a private institute, having Lee Beom Soo as his instructor at some point. He then enlisted in the army and took place in several military commercials. After that, he made his debut through a sitcom, then as a supporting role in the romantic film “Madeleine”. Ha Jung Woo’s big breakthrough was due to his serial killer role in “The Chaser” which marked a huge box office hit and established Ha Jung Woo as one of the best young film actors in South Korea today. I wouldn’t be exaggerating if I say that Ha Jung Woo will become the next Choi Min Sik or Song Kang Ho in the next decades. Here’s the stalker guide to this amazing talent. Enjoy! As I mentioned earlier, Ha Jung Woo is not a dramas’ actor, he’s more suited to the big screen and that’s what I appreciate the most about him. He acted in two dramas as a supporting role and only in one drama as a main lead. That one leading role in a drama was in H.I.T (Homicide Investigation Team). HIT wasn’t exactly that great; it’s an investigation drama that relies on arcs instead of the episodic pattern. 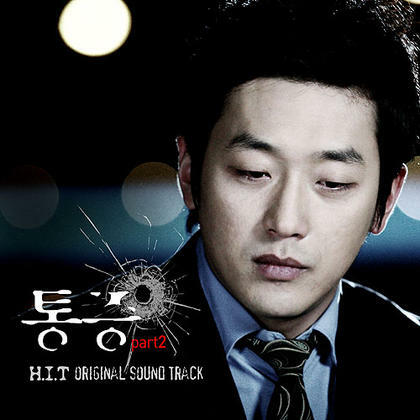 Ha Jung Woo played the role of a prosecutor in control in the H.I.T team. Of course, the H.I.T team is composed of detectives who aren’t exactly welcoming of the prosecutor “meddling” in polices business. However, solving several cases together can change many feelings. Ha Jung Woo’s acting was pretty great even if his character wasn’t that well-written. The screenwriters focused on the female lead with more background story and all, until they forgot about the male lead’s character development. Overall, it’s a pleasant drama for the lovers of Ha Jung Woo and the detective genre. Now we’re getting down to business. Ha Jung Woo is a film actor, so if you really want see his acting, you have to get involved with his filmography where he portrays a greater diversity of roles. If you are thrillers’ veteran, meaning that you've seen countless thrillers and it takes something very special to impress you, The Chaser would be only good or passable one for your taste. But if you are a fan of the genre and you want to watch thrillers no matter how they are written, then this would be a great watch for you. The Chaser’s story isn’t exactly new. 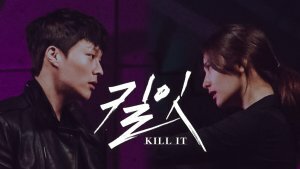 As everyone knows serial killers are all over the film industry, but in this film’s case, director Na Hong Jin managed to get some unique details and mesmerizing cinematography to suit the genre. Also, having one of South Korea’s recognized film actors Kim Yun Seok as the co-lead made the acting department feel top-notch. That aside, Ha Jung Woo shined in the role of a serial killer. I watched this film with couple of friends and I swear they were rooting for him instead of the good guy.Yes, my psycho friends didn’t want a serial killer to get caught. Jung Woo’s acting was very believable and convincing. I can’t find a single flaw in his portrayal of the character. Although, I didn’t find the film perfect, I consider Jung Woo’s performance flawless. No wonder this was a hit in South Korean and managed to launch Ha Jung Woo as a films’ actor. This film is very special for me. On one hand we have Ha Jung Woo and on the other hand we have Tsumabuki Satoshi. 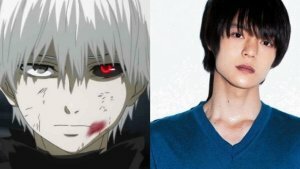 Both are my favorite young actors; one is Korean and the other is Japanese. The film was mainly shot in Japan. It follows the life of two men involved in a smuggling industry in the country of the rising sun. However, this is not a gangster film. The storytelling is focused more on the family and friendship matters. It made me think that this was more like a slice of life Japanese film instead. Ha Jung Woo’s character wasn’t written to be a fierce existence or to sound like a tough person. He was simple, warm and very friendly. His acting was very suited to the character he was portraying, no extreme emotions but he had a deep connection with Satoshi. First of all, this film was based on a true story. 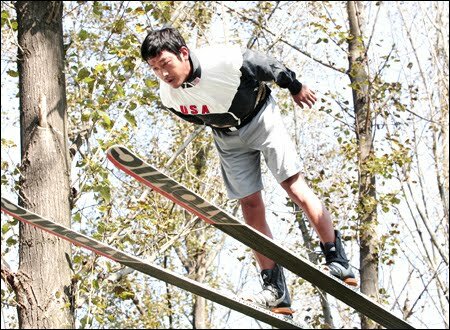 It’s about the Korean Ski Jumping National team back in 1996 Olympics. The members of the team came from humble beginnings, but managed to get people’s respect in the Olympics. The film focuses on the inspiration and determination of the young team members composed of only five athletes. Although the film is a dramatic take about the team’s struggles to reach the Olympics against everyone’s expectation, it is also full of light and funny moments. Of course, the screenwriters dramatized many characters or it wouldn’t be an emotionally moving film. In this film, Ha Jung Woo proves that he can take control of any character he is given. Although his role in this film is nothing like any thriller he ever took part in, he still managed to excel as the team’s captain and show both his kind and mischievous side. He also spoke good English in this film considering that his character was adopted into an American family ever since he was little. Director Na Hong Jin decided to get back the leads from The Chaser to make this film. But this time, he reversed their roles allowing Ha Jung Woo to play the hero. Well, not really! Our main lead was not exactly a hero, but he would make you root for him nonetheless. Unlike The Chaser, this film was much different from other thrillers, it was a violent tragedy. Plus, the theme used in The Yellow Sea concerning “Joeson triads” isn’t something that was even used in other films or dramas. Ha Jung Woo was amazing in this one despite being a sort of anti-hero. During the gang's war and action, Jung Woo was always on the run. You could tell that he’s a fast runner from watching this film. Also, his emotional performances during some scenes were very convincing and penetrating. This is obviously a legal thriller or what other people like to call “a courtroom film." I find the first description well-fitting for this one. This is not an outstanding film of this genre, but it’s a good watch and something well-made. Although I did find the outcome predictable, the developments would make you wonder about the truth. Jang Hyuk and Park Hee Soon who shared the lead spotlight with Ha Jung Woo were simply great. They didn’t allow Jung Woo to take over the spotlight alone, even if he was incredibly good as the lawyer. In this role, he proved his amazing diversity. I have a little confession to make. After watching this film and “The Berlin File” I confirmed Ha Jung Woo’s hotness and attractiveness. Man, he’s super-hot as a badass! From that point onward, I don’t only see him as a great actor, but he also became an appealing man according to my book. Okay, fangirling and confessions are over. Nameless Gangster is a pure Korean piece about the underground world in Pusan back in the 80’s, when the government declared war against the organized crime. The film has a different approach to the gangster world, even if the usual themes of betrayal, friendship and loyalty were used to their fullest. It’s also about the survival mission of a wannabe gangster. Ha Jung Woo shared leadership with the mega huge film star Choi Min Sik - an actor, next to whom you have to show more than good acting skills to get noticed. Ha Jung Woo did more than great with this role. He simply nailed it as a young gangster who has been through a lot in order to survive. What also helped him to show his acting skills to the fullest was his well-written character. The gangster aura he had was simply dazzling. When I first found out that Ha Jung Woo took part in a romantic comedy, I just could not believe it. Then, I was dead curious to know how he was like in such a production. I watched the film and I wasn’t disappointed at all - with his performance of course. Although the film wasn’t exactly that special, he captivated me as usual. Certainly not at the same level as in his other films, especially Nameless Gangster that was produced the same year, but he did quite well with his character. Sometimes he acted shy, straightforward and unpredictable. But the best part of the whole film must be when he was rapping to “Alaska” song. That was priceless; I didn’t know he could rap so well! This film is one of 2013's highlights. It contains all the glamorous and dangerous elements of spy films. It’s action-packed, fast-paced and a well-made thriller that’s capable of keeping you at the edge of your seat. The film is about an outstanding North Korean spy that is being betrayed by a fraction of his country. Now he has to live on the run with his wife. Of course, the whole combination can’t get straight without the involvement of a South Korean agent. Ha Jung Woo was ravishing in this one! I told you that the guy can do badass so well. Although he was accompanied by high-profile actors like Han Suk Kyu, Gianna Jun and Ryu Seung Beom, Jung Woo never left the spotlight. If you really want to fall for Ha at the first sight, then this film would be perfect to be your starting point. It’s really great that Ha Jung Woo was able to take part in two successful films in 2013! The Terror Live is a one-room thriller. It’s not about the variety of location or the chasing scenes. This is a different type of thriller that didn’t even bother with introductions. Ha Jung Woo plays the part of a bribed anchor who had to become a radio host. In the search for the scoop that would give him his original position back, he leads a negotiation/interview with a terrorist. 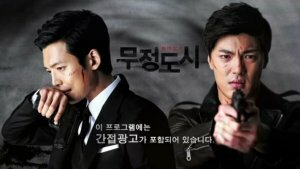 The story is unique and fast-paced, and Ha Jung Woo was terrific as the somewhat anti-hero anchor. The way he portrayed fear, sympathy and carelessness was priceless. You just can’t get enough of him on screen, even if the whole one hour and a half was focused only on his presence. The Unforgiven (2005): The film is about regimental army life and the friendship between two soldiers with and without the uniform. Ha Jung Woo role was pretty good but he wasn’t the main focus like Seo Jang Won. Time (2006): Shi Gan can be classified as an artistic film. It's another piece from the internationally famed Korean director Kim Ki Duk. Although the film was awfully received domestically due to the sensitive subject of plastic surgeries in South Korea, it got a lot of fame outside it. Ha Jung Woo played a different type of character, but it wasn’t exactly that interesting. 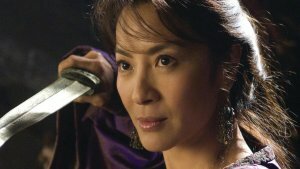 Never Forever (2007): The film is not even Asian so I don't know why it is in MDL’s database. Other than that, the film is good enough - an indie American film that deals with many issues in a powerful and straightforward way. It also contains many mature scenes with Ha Jung Woo and the main actress Vera Farmiga. Beastie Boys (2008): The film has to do with two men working as hosts. It’s realistic somehow but it’s unbearably slow at many points. It’s another take of Ha Jung Woo acting skills, even if the film wasn’t really that good. My Dear Enemy (2008): The film is rather simple, Ha Jung Woo’s character spent the whole film borrowing money from his ex-girlfriends to repay another ex-lover that came searching for him. That’s how it seems at first but there’s whole depth underneath his motives. In this film, you would notice that Ha Jung Woo can make a plain simple slice of life role sound so likable. Chronicle of a Blood Merchant (2014): This will be directed by Ha Jung Woo but unlike his directional debut, he will take the leading role. His co-star will be Ha Ji Won, although I frankly can’t see them together. 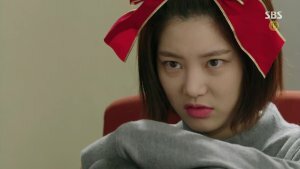 She said that being Ha Jung Woo’s leading lady is a dream coming true for her. I am not holding any prejudice so let’s wait and see, the theme is interesting and unique and let's not forget about the rest of the irresistible cast. Band of Thieves (2014): This will be an interesting film as well. Ha Jung Woo pairing up with Kang Dong Woo is something I’ve been waiting forever to see. They are two of my favorite young Korean actors and you give them to me in the same film? Yes, please! 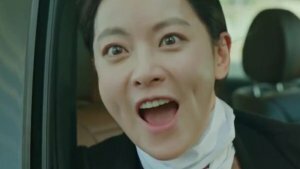 An evil Kang Dang Woo and a fierce Ha Jung Woo is a keep. Director: Ha Jung Woo made his director debut through Fasten Your Seatbelt (2013). It’s also the only film he wrote and directed himself. Needless to say, I would have not watched this film, if it wasn’t directed by Ha Jung Woo. Overall, it’s a pleasant ride only if you appreciate the Korean type of humor. It was strange and full of bizarre characters, but it’s not a waste of time. Theatre: As I mentioned above, Ha Jung Woo started his career through theatre. He took part in several plays such as Othello (2003), Waiting for Godot (2002), The Glass Menagerie (2002) and so on. Art: Ha Jung Woo is also a painter who's held several solo exhibitions. Quoted from Jung Woo: "Paintings are able soothe me and make me rational. It is too extravagant to say that painting is my hobby; it is rather a way for me to survive as an actor." Writer: Ha Jung Woo wrote a book back in 2011: “Good Feelings” where he wrote about his life as an actor, his paintings and some of his personal life. That would be the end of this Stalker's Guide, feel free to mention your thoughts about the actor and your favorite films of him. If there is an actor or an actress that is worthy of a Stalker's Guide in your opinion, and you have watched enough dramas of his/hers to prove it, please contact Elisabetta about it.